Our community leaders have made our collective effort official. 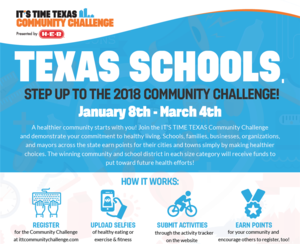 At the School Board meeting on Monday, our Board of Trustees, officials from the City of McAllen, and I signed up to take the It’s Time Texas Community Challenge. This is a friendly competition to promote health and fitness. You can help by signing up. Your points will count toward your school, McAllen ISD and the City of McAllen all at once. Here is how to do it quickly and easily. 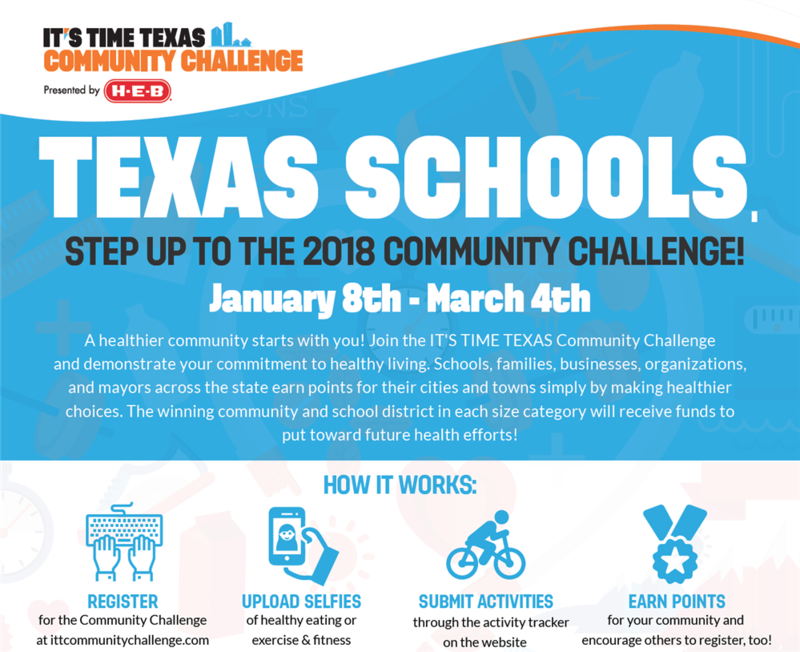 Click on this link - https://ittcommunitychallenge.com/ - and click on the word “Register.” Type “McAllen” in your Community, “yes” for School District Challenge, “McAllen ISD” for School District, and type in your favorite campus for School. Log in every day to post photos of yourself drinking water, exercising, and doing other healthy things. Click here for suggestions: https://itstimetexas.org/wp-content/uploads/2015/07/2019_bigpicture.pdf . You can earn hundreds of points every day! Not only is this a great way to show our commitment to health and our McAllen spirit, but it also sets an outstanding example for our children and teaches them healthy habits that can last a lifetime. Last year, the City of McAllen won the competition for municipalities and McAllen ISD came in second among school districts. By working and supporting each other, I know we can do better this year. Thank you for your help!